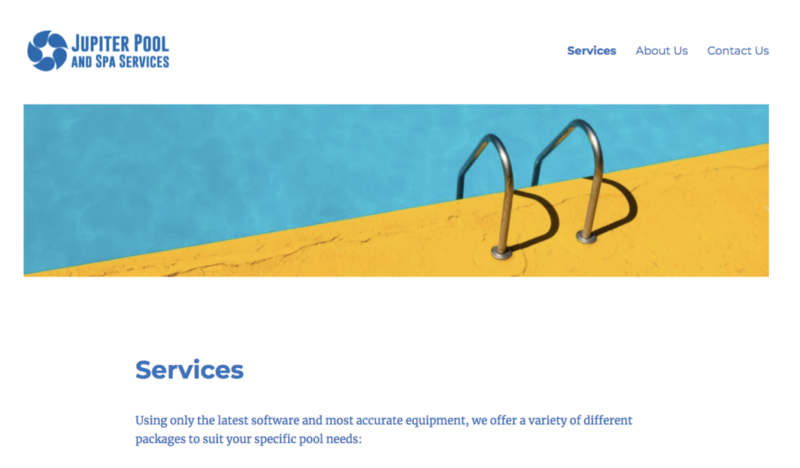 We are so happy to work with Jupiter Pool and Spa Services on creating a logo and their first website. As a brand new company, we wanted to offer a simple yet stylish logo that was easily recognizable. We were asked to create a user-friendly website that seamlessly showcased JPSS’ services and what sets them apart. Jupiter Compass is very excited to see how this growing local business prospers.